Ever wondered why our towns and villages are named as they are? Who named them and why? Why is there a ‘disputed hill’? Which river was named for being ‘where oak trees grow’? Why would anywhere have a meaning of ‘hill, hill, hill’? And where is ‘the river of the bee-keepers’? 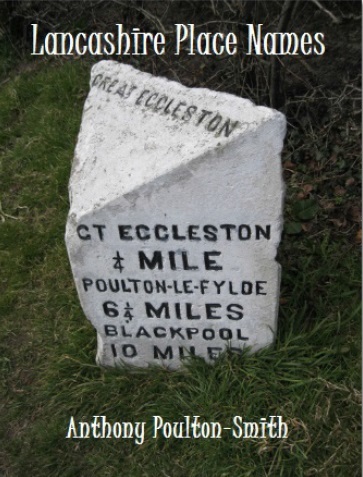 Within these pages author Anthony Poulton-Smith examines the origins of the place names with which we are otherwise so familiar. Towns, villages, districts, hills, streams, woods, farms, fields, streets and even pubs are examined and explained. Some of the definitions give a glimpse of life in the earlier days of the settlement, and for the author there is nothing more satisfying than finding a name which gives such a snapshot. The definitions are supported by anecdotal evidence, bring to life the individuals and events which have influenced the places and the way these names have developed. This is not simply a dictionary but a history and will prove invaluable not only for those who live and work in the county but also visitors and tourists, historians and former inhabitants, indeed anyone with an interest in Lancashire.